Keeping Items In Sight and Top of Mind. When most people think of personal lockers, they think of a place to keep items out of sight. We think about making it easier to keep important items in sight. 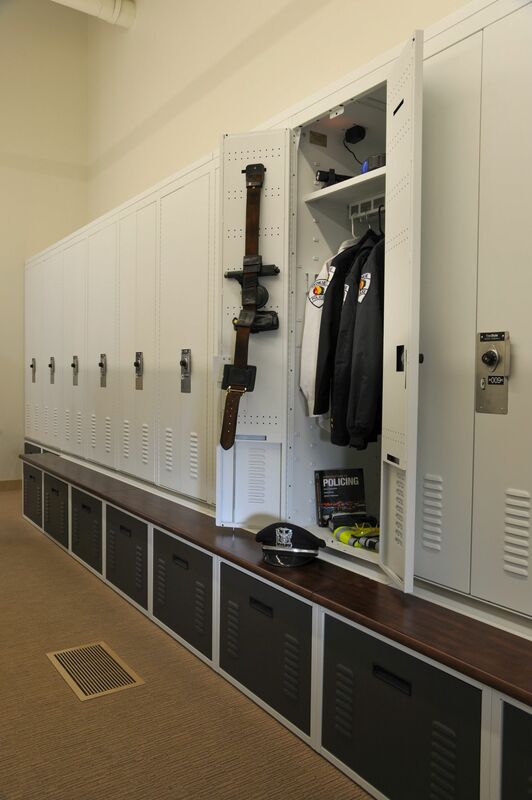 For a law enforcement officer, a locker can signify a home away from home—a place that keeps uniforms, gear, and personal items safe during the course of a busy day. Military personnel can utilize personal lockers to avoid misplacing important gear and equipment. Professional, collegiate, and even high school athletes feel like a bigger part of a team when they have a space to call their own. Lockers promote better gear, uniform, and equipment care. Police officers have no shortage of gear that they use throughout the course of a shift—and all of those items hold a secure spot by their side. When an officer isn’t in the field, it’s equally important to have a place to store uniforms, gear, radios, a change of civilian clothes, and more. We’ve heard about various storage places for equipment—the trunk of an officer’s car, a closet in a deputy’s house—and in designing personal locker storage for law enforcement agencies, we’ve also learned that having a space to call one’s own after a shift makes a significant difference in a department’s morale. Another important thing we’ve learned? That every officer has different needs. Not wanting to build a police department building with a warehouse attached to it, the planning committee for Salt Lake City’s new public safety building knew they had to think about smart storage. We assisted them with personal storage lockers for their lockers rooms as well as SWAT team storage—creating a way to keep all of their equipment in one place and help their officers stay organized. Click here to read more about the storage systems utilized at SLC’s public safety building. 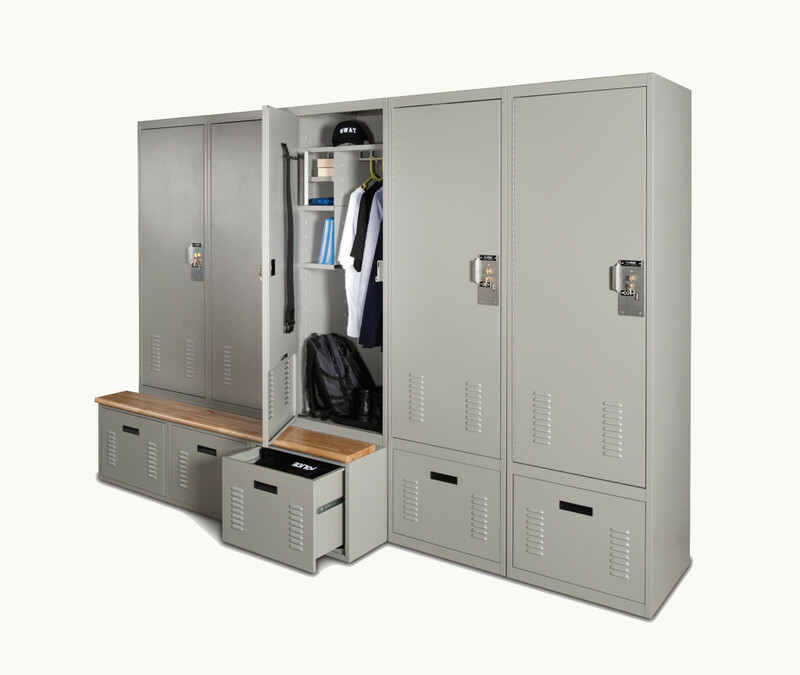 Our laminate lockers enhance decor and provide security to any club or athletic looker room. Locker sides, top and bottom are made of 3/4” industrial grade #47 particleboard with stain and impact resistant white Melamine finish inside and out. 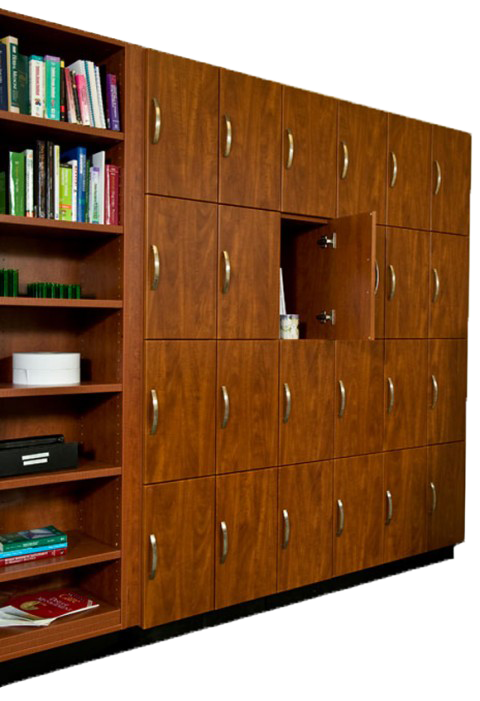 Laminate lockers feature high-pressure laminate doors. Rugged all-steel storage lockers are built to last for an array of demanding applications. The modular design of SI’s Steel Locker system gives you the flexibility you need for all of your storage requirements. Choose from a broad selection of sizes and configurations to meet your specific needs. 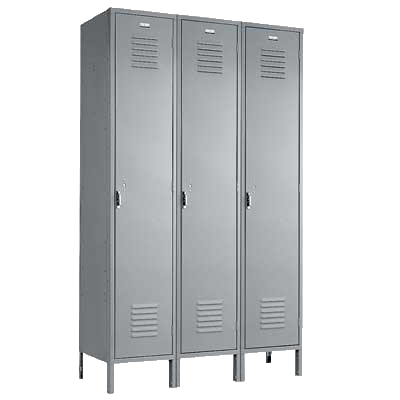 For especially demanding applications, we offer heavy-duty gear lockers.